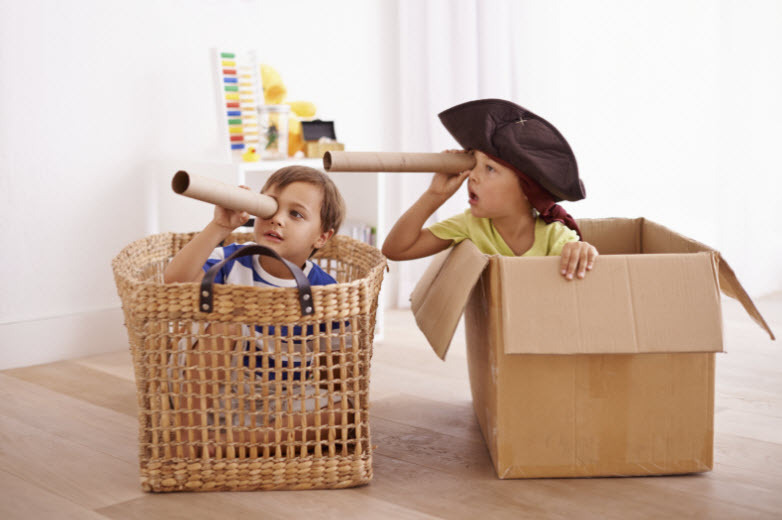 Engaging in fantasy play could benefit creative thinking in children. This is one of the findings of a study being presented today, Thursday 15 September, by Dr Louise Bunce of Oxford Brookes University to the annual conference of the British Psychological Society’s Developmental Psychology Section in Belfast. * pretending in a way that involved impossible events (e.g. going to wizarding school or playing with an elf). The children also completed three creativity tasks. In the first task children had to think of as many things as possible that were red, in the second task they had to demonstrate as many ways as possible of moving across the room from A-B, then the third task asked them to draw a real and pretend person. In the first two tasks children received points for the number of responses they gave and how unique those responses were. Their drawings were rated for their level of creativity according to two judges. As the researchers expected, analysis revealed that children who reported higher levels of fantastical play also received higher creativity scores across all three tasks, although the findings were stronger on the first two tasks than on the drawing task. British Psychological Society (BPS). "Engaging in fantasy play could benefit creative thinking in children." ScienceDaily. ScienceDaily, 15 September 2016. <www.sciencedaily.com/releases/2016/09/160915085731.htm>.